Rub it in Why Don't Ya! 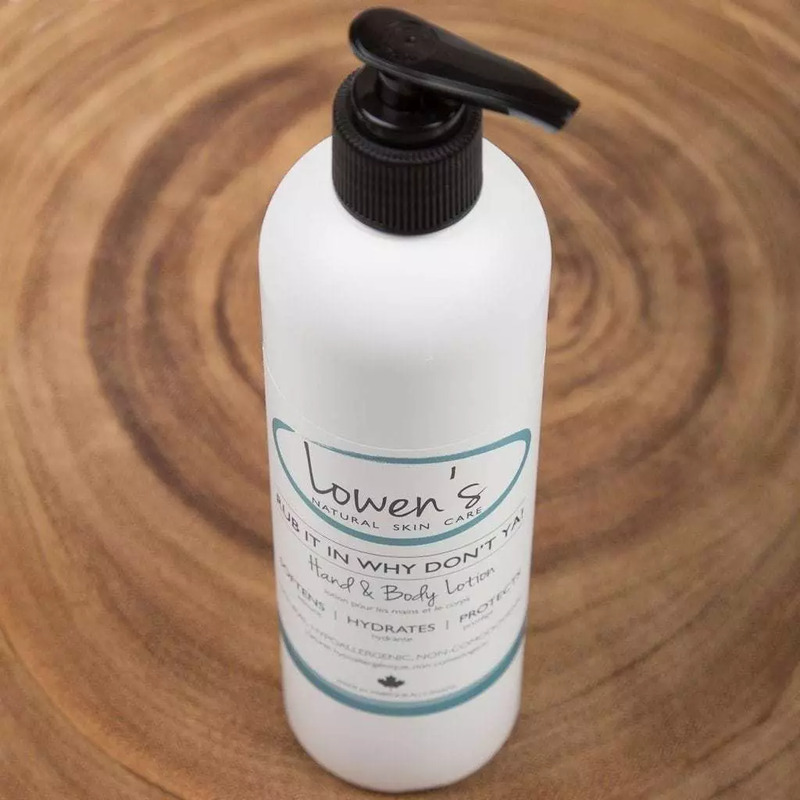 Natural Hand and Body Lotion from Lowen's! Rub it in Why Don’t Ya! Lotion was formulated specifically to be safe for our daughter – Lowen’s (i.e. safe for kiddies as well as adults). Rub it in Why Don’t Ya! 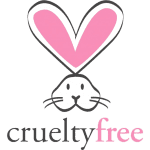 is all natural, paraben free, non-toxic, non-comedogenic (meaning it won’t make face look like your 16 year old pizza delivery boy), and does not have any added fragrances or colours. All this combined with minimal preservation makes Rub It In Why Don’t Ya! the cleanest, safest and most effective lotion on the market (we are aware of our bias). 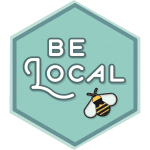 Our unique formula utilizes locally produced beeswax (Alberta sourced) non-GMO Canola oil (locally sourced – High River, AB) and Camelina (sourced only 6 hours away in Saskatoon, SK) oil, making Rub it in Why Don’t Ya! the most “local” natural lotion you’ll be lucky enough to to find! We combine the primo, unrefined ingredients listed above with certified fair trade, virgin coconut oil as the cherry on top. (Since the news is out about the benefits of virgin coconut oil and its inclusion also compliments completes the overall aroma of the lotion. Amazing product. I was introduced to it through our company store (our raw products are one of your ingredients). Now we’re obsessed. We can’t say enough about it. I’ve taken photo’s of my 18 month old son’s raw daycare washed hands, by day 2 the rawness is gone! My husband and I love how it feels, we love the natural scent vs fragrances. Thank you for being so open and honest about what to expect from the product – the smell, the feel, it’s perfectly represented. Seriously, we’d love to be the spoke’s persons for this product. I’ve promoted it to so many people, shown the proven results through the pictures, it’s AMAZING. Please don’t discontinue, if you do, I will need to buy a whole crate. I love this lotion so much. I had been searching for a good lotion for a really long time so I’m happy I found these guys! I’m on my second bottle already. It helps so much with my psoriasis and it’s great to put on after every shower! Thanks Lowens! This cream is an absolute dream! The consistency, ingredients, smell and most importantly how it makes my skin feel. I have been re-ordering it for a couple years now and just don’t see myself every moving on, as this is perfect. Thank you for leaving your review Melissa – We’re so encouraged that our humble Rub it in Why Don’t Ya! works so well. Your ongoing support is appreciated! I love this lotion SO much! I have eczema that gets pretty bad on my hands (especially this time of year) and I’ve been using this lotion everyday for nearly a month and this is the best that my skin has looked and felt in a very very long time. This product goes on smooth and absorbs quickly (you only need to use a small amount). I will be repurchasing this item! 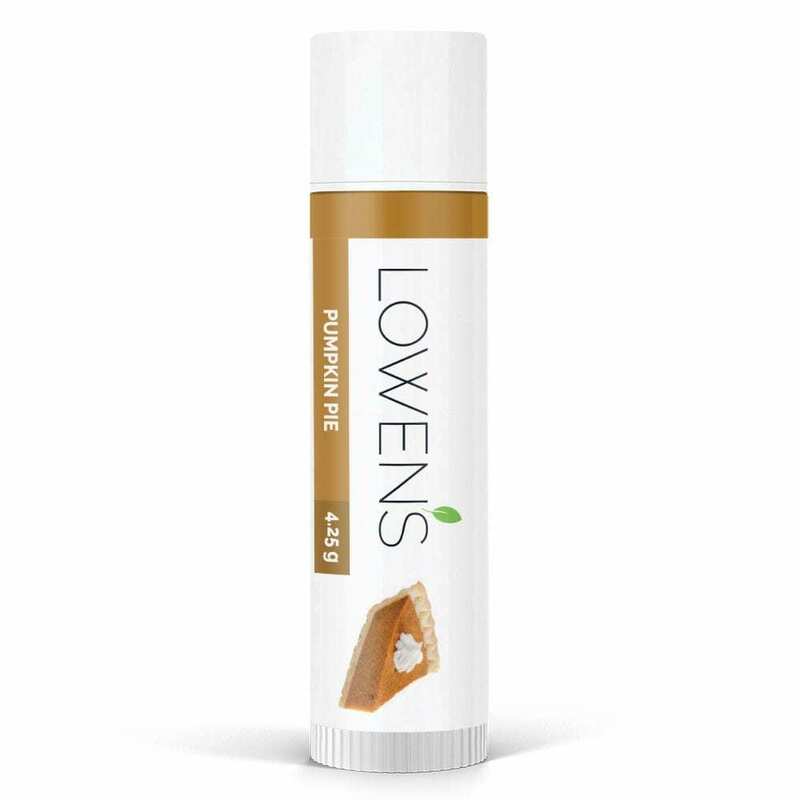 I’ve been using Lowen’s for over a year now, and I’m so thankful I’ve found such a wonderful company that makes safe products. I love the thickness of this lotion, and it keeps my skin hydrated. A little goes a long way! Hi Jenny. Thank you for your question. Since the contents of Rub it in Why Don't Ya! (bottle) are 330 grams and there are approximately 30 grams per ounce (mass), the conversion is 11 (exact conversion is 11.64). All of our products are sold by mass not by volume so we don't have the exact fluid ounce conversion. However the specific gravity of our lotion is slightly less than water, as it floats in water, so an educated guess would be that it is 12 fl oz. Hope that answers your question.